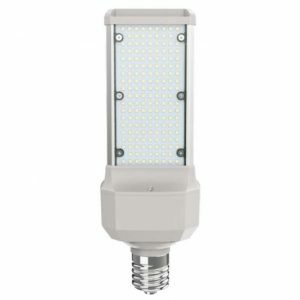 This energy saving Watt-Man LED Lamp is equal to a 400 Watt high-pressure sodium/metal halide. 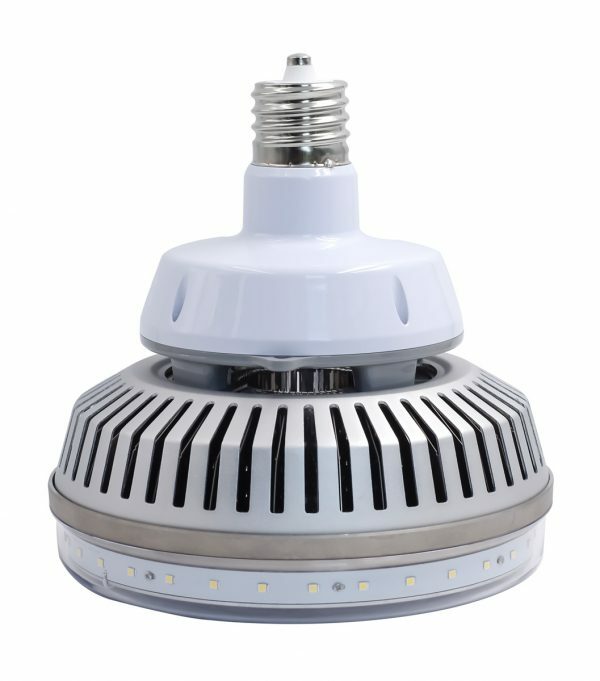 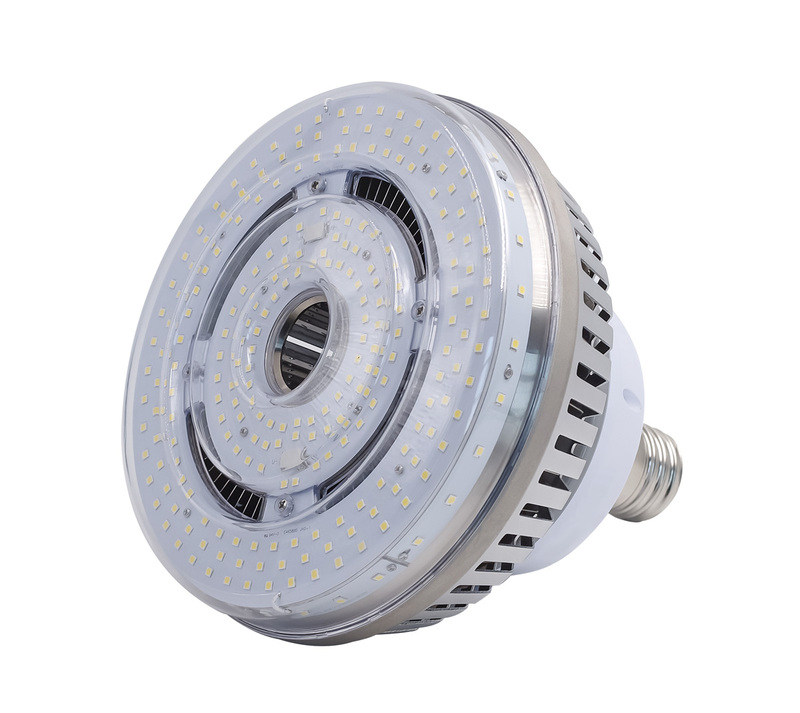 The circular design, 180-degree beam angle, and mogul base makes it ideal to retrofit High Bay applications in warehouses and other industrial buildings. 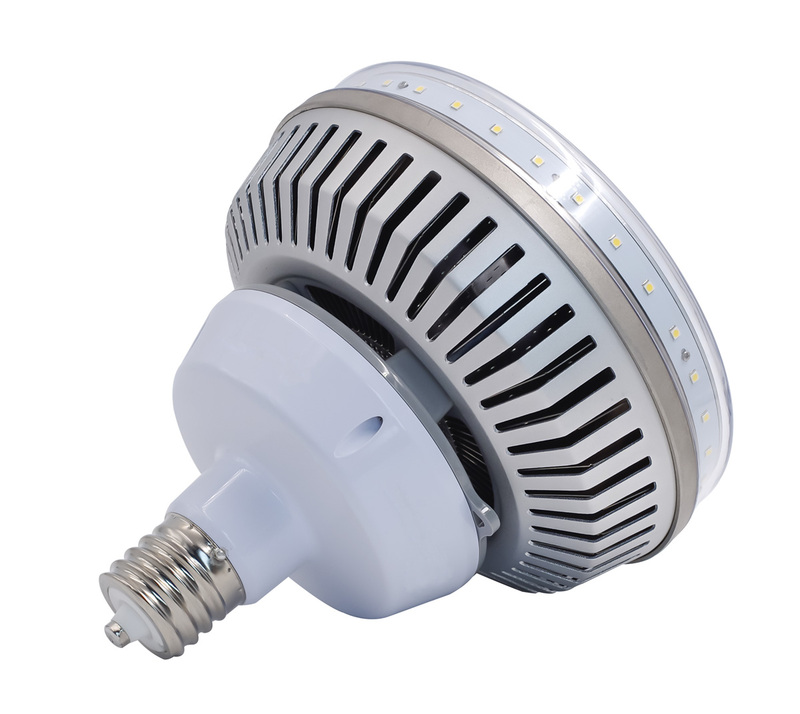 The updated heat sink allows for up to 50,000 hours of operating time, saving maintenance and repair costs in your commercial facility. 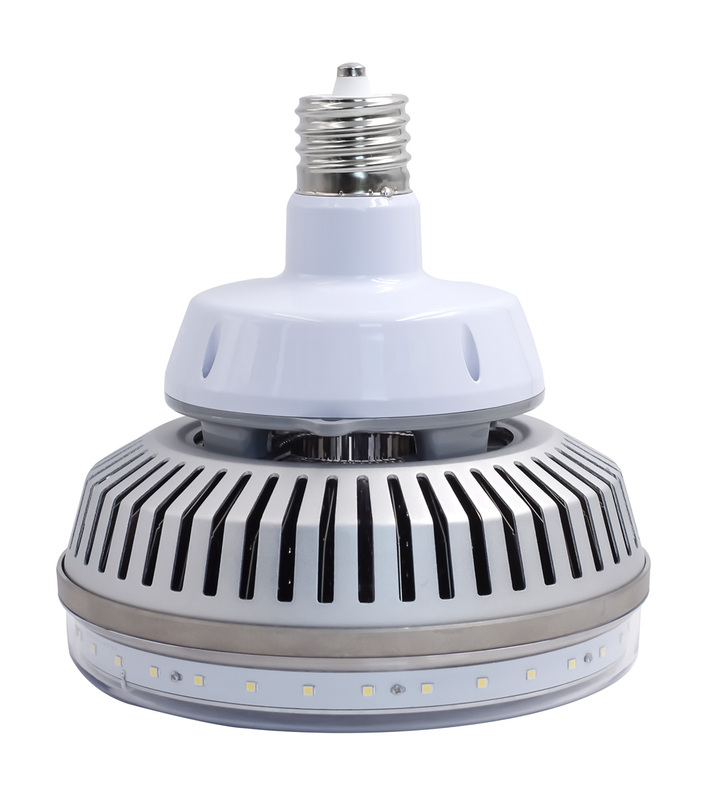 This lamp has a 5 year warranty from purchase and is UL-listed.